The Institute of Advanced Study (IAS) is one of Durham University’s flagship research institutes. 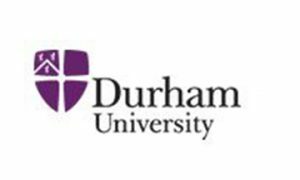 It seeks to catalyse new ideas by bringing together world-leading researchers from all disciplines to work with Durham colleagues on collaborative projects. Applications for the 2020/21 Fellowships are now welcome. The closing date for applications is 07 June 2019. The full details of the Fellowship scheme are available online. Each Fellowship provides an honorarium (£3,000); a travel allowance; accommodation; and funds for teaching buy-out if this is necessary in order for individuals to be able to accept the Fellowship (up to £8,000). There are usually 20 fellowships available in total and each is for a three-month period (either October-December 2020 or January-March 2021). A proportion of our fellowships are reserved for invited Fellows to participate in specific projects sponsored by the IAS, or also to apply to collaborate with one of the four sponsored projects. During their stay, in addition to pursuing their research, Fellows are expected to engage with each other and with staff at Durham, deliver a public lecture and present an IAS seminar. Once their Fellowship has ended, we hope that, as a member of our international College of Fellows, they will continue to collaborate with Durham colleagues.